I'll admit I didn't really follow much of the news on Fate/EXTELLA LINK, since I initially thought it was an expanded re-release of The Umbral Star. Instead, it's a full-blown sequel (with a lot of capitol letters). Well, for the most part. The sequel bit, not the letters. Anyway, the game picks up a bit after the events of the previous one. Altera is still small, Nero and Tamamo are still fighting over you, and you defeated the Umbral Star. However, the main character claims to have never met Archimedes. I guess I'm not the only one to forget stuff from the last game. Unlike last time, the story is a more "good versus evil" type, instead of the much more intimate arcs from before. It may feel a little bit less Fate-like, but it feels more accessible to the laymen. Of course a new threat arises, requiring your heroes to band together and defeat it. Also of course, some of your friends have been turned against you by this new foe. Besides a new plot, there is a new structure to the game, and for the most part, I think it's better. After the first two fights, you can pick your next stage. The stage you pick can lead to one of the alternate paths. Plus, you aren't locked into your route, as you can do another stage to unlock the other route. Once those are both finished, a third route opens up. The game is nice enough to tell you what you need to do to get it, and you don't even have to repeat the stage the choice is tied to, just skip to the dialogue at the end of it. The 27 story stages are laid out very clearly once available, which is always a plus. For your first run through a story, you are limited to the characters you actually have at that point. So if you do an earlier stage, you might not have all of your friends. Once you get an ending, that restriction is lifted. You can turn that feature off if you want to, but I wouldn't dream of doing that. Half the fun of unlocking characters is using them to see if they are any good. As you beat each stage, you can unlock even more characters, and also new extra battles. There are over 40 extra battles. It's really nice, but the early level suggestions aren't the most friendly to using newly unlocked and non-used characters. So, you will probably be grinding the first one or some story stages a few times. Or just pay money to level up your units. Battle basics are very similar to before. The game is a hack and slash, so you take on hordes of faceless grunts, some stronger captain units, and named heroes. The Square Button is your normal attack, and the Triangle Button your stronger one. Pressing Triangle at different points of the combo will result in different ending moves, allowing you to vary up your attacks based on preference or the situation. Each character can also equip up to four special moves that are either attacks or even buffs. They are on a cooldown timer, so use them as much as you can for some easy damage. The field is divided up into several key rooms, with a few tiny hubs between them. When you reach a door, pressing the X Button (jump) will launch you to the next. It cuts down on unnecessary traveling, keeping the game more focused on the action. The goal is to take over key areas, defeat key personnel, and prevent your main base (or other important target) from running out of health. Taking over a room is the same as last time, just kill some grunts until the key aggressors show up, and then defeat them. The Moon Drive is back and slightly reworked. As you attack enemies, your gauge will fill. When full, you can press the Circle Button to enter a powered up state. Attacking enemies during Moon Drive will fill the Noble Phantasm gauge. When that is full, pressing R2 will unleash your weapon's true name. While that aspect is more important in the show, what it does here is a lot of damage. So much so that it will instantly take over whatever room you use it in! Very useful when used strategically. Install skills also return. As you deepen your friendship with the various characters, they can equip more passive skills. These range from stat increases, to more damage during Moon Drive, and even more experience per kill. Most drops during battles are more install skills, which will increase the strength of them when multiple are acquired. Mystic Codes, like last time, let you cast temporary buffs or heals. The cost of making the lower level Mystic Codes feels much more reasonable, and therefore much easier to try new ones, or get a better version of the one you are using. While I enjoyed the previous game a lot, I think Fate/EXTELLA LINK is even better. It adds new characters and nice new features. The story is not nearly as in-depth, which is both good and bad, but the branching storyline is interesting. I sort of miss the character arcs, but I think the extra stages are a good substitute. At least that way you aren't stuck using a character you don't like for several battles. If you enjoyed the gameplay in the first game, it is an easy recommendation. If you like Dynasty Warriors-like hack and slash, it is still an easy recommendation. I like it! Fights are fun and I like the branching story. There are several systems in play, but it's easy to grasp the concepts of them. Not much depth on the characters, have to check the menus for information on them. I'm surprised "Charlie" wasn't used as a character before this. The Caligula Effect is an RPG on the Vita that I played nearly two years ago and enjoyed. I was surprised that it was not only getting an updated release, but also being ported to other systems. 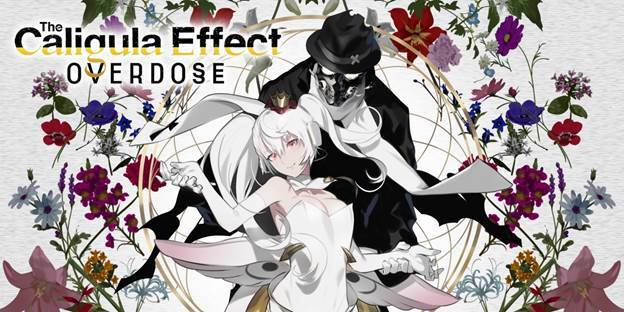 I've played my fair share of remakes and re-releases, and what The Caligula Effect: Overdose adds is one of the best ways to do it. First off, I don't think the combat has changed much. This will be a deterrent to some people, but not me. I mostly enjoyed the fights. When you come in contact with an enemy in the dungeon maps, a fight will start right where you are. Since it's a virtual world, it will also remove things like walls. This is good and bad. Good, because you won't be cramped, but bad because an enemy in another room might be close enough to be an unexpected part of the encounter. The battle UI and menu have changed, making it easier to navigate. It isn't as unique as it was, but overall it is a good change. In fact, pretty much all of the menus had an overhaul, making them cleaning and more user friendly. Skills have received an overhaul as well. For better or worse, it feels like there are less of them. Plus, some don't feel as useful as they once did. The main character's rapid fire, a favorite for juggling enemies, is slower and less accurate. Kotaro's launch isn't as reliable, and his rapid punch is too slow to start. I used to love hitting them into the air, then punching them on the way down. Now, Kotaro can't even do the one thing I liked him for. I didn't think they could make me use him less, but here we are. However, the "super" attacks no longer have to be purchased with skill points and are available at the start. You have to build up a bar to use them, but this bar is persistent, so I just save them for bosses and other hard fights. Plus, they don't cost any SP! Skill points can now be used to increase the level of the skill, from 1 to 3, as well as purchase new skills. Increasing the level makes them stronger, and secondary effects (like launching, etc.) more likely to happen. While it does make them stronger, I didn't notice a remarkable increase in the secondary effects. It wasn't something I extensively tested though. You will choose your action from a list separated into three categories. Basically your attacks, support skills (buffs, debuffs, heals), and misc skills (moving and recharging your SP). Each skill has an activation time and SP cost. After selecting what you will do, the game plays out a shadow version of what may happen, called an "imaginary chain". This allows you to tentatively see how much damage you may do, and coordinate attacks with your teammates. You can set up to three skills in a row. While useful for piling on the damage, be aware that your next turn will come up slower, since you have committed to a few attacks already. In the previous release, the default setting of the confirm button was to end the chain. Now it is to select another attack. This makes it faster to use several attacks in a row, but slightly slower to smash through a selection when the enemy is really weak, or about to be finished by your friend's attack. In a strange choice, defeated enemies can no longer be juggled. Sure, it served no logical purpose, but it was fun to do on the last or lone enemy. My guess is that since a defeated enemy would still be in the way, they disappear so as not to inconvenience targeting another enemy. Of course, you will still attack the air where they were, so maybe not. The extra experience for defeating an enemy in one turn is also gone. Experience gain overall feels faster, so I don't actually miss this as much as I thought I would. What is new is being able to get a preemptive strike. If you attack an unaware enemy on the dungeon map, you will start the fight with the enemy's risk level elevated. This in turn makes it much, much easier to risk break them, which allows for greater damage. Mifue makes this incredibly easy, as one of her basic attacks increases risk by 1, guaranteeing a break on hit. Before, the only similar function was to get the attention of an enemy. In theory, you could separate one from a group, making the fights easier. While I did use that occasionally, it wasn't nearly as useful as the current system. The dungeons in the game make sense. There's a school, the mall, the library, and other places that feel natural in an imaginary city. Yes, even the hot springs. The new bosses each bring a new location with them. Each dungeon is fairly sprawling, taking awhile to navigate. It does feel a lot quicker to go through them than the first release. I attribute it partially to my previous playing, but mostly to faster fights and easier to avoid enemies. Also, boss fights are much faster easier. My main complaint with the dungeons is how each floor or area inside is largely identical to the others. Sure, the library has a section with marionettes, but that doesn't help as much as it should. I could rarely tell you what section I was in, and I couldn't get a grasp on their layouts. I can follow the quest dots, but had trouble trying to locate the student request side quests. Maybe if I had a better grasp of Japanese school layouts, but as it stands I could rarely tell one area or floor from another, or even how they fit together. Speaking of the other students, befriending them has been streamlined. Part of the UI redesign made the affinity gain much bigger. It's also a lot faster, meaning you don't have to talk to people quite so much. You will still need to invite them to your party to fulfill their side missions, which is something I kind of gave up on in the original. Sadly, I wasn't too keen to try it again. Now, on to the biggest changes. Two new characters join the Go Home Club, and each bring a Musician counterpart. Even better, you can go all Yojimbo and join the Musicians to work against the Go Home Club. Both of these are very well woven into the existing story, and do not feel superfluous. I was very eager to try out the new story line, but had to wait until after the second boss to start it. Disappointingly, there isn't really anything you can even do at that point. Once you beat the next boss, however, you will gain two Musician party members, and have a bit of story with them, setting up what you will be doing. You can jump between the two, but as far as I can tell, you have to unlock a place with the Go Home Club before you can venture there as a Musician. Even so, it's an interesting addition that I like. Overall, I still enjoy The Caligula Effect. 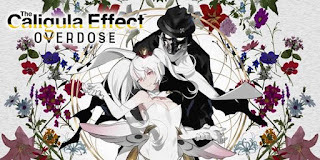 The Overdose release has some significant additions, which are well integrated into the story. That's the key thing that makes it worthwhile. I'd recommend it to fans of the first release, and further to any RPG fans that skipped or missed it the first time. New characters and story line make a fun game even better. Doing side quests is a chore. So your friends don't even notice the mysterious new Musician uses the same dual guns as you? Utawarerumono and its sequel are two games I've had my eye on for awhile, and when they hit my buy price, I snatched them up. Mask of Deception is the first part of the story, and the game is a mixture of visual novel and strategy RPG. Two of my favorite genres in one! I'll start with the SRPG portion of the game. There aren't that many stages, but I do like these fights. At first it seems like a standard grid-based SRPG. Characters can move and attack, while speed sort of dictates how fast and how often their turn comes up. Once you get a few levels, it starts feeling more unique. Your attacks are basically combos, with one of two different timing mini-games for criticals. While there are only a few different strings, they become much more powerful as you level up. Each added attack makes the combo do a lot more damage, or adds some other type of effect. Even healing skills get extra moves, with either more healing, or some kind of buff. The first timing mini-game is hitting the button at the right time. A circle closes toward the button, and you must press it when very close, but not too far. While it is pretty simple, there are some that are very fast, making them hard to hit. There is not much of a penalty for failing, as you either get standard damage, or may cut your combo short and miss a bit of damage. The second one is holding the button down, and releasing it at the right time. This tends to be the mini-game used for magic skills, and feels a lot less strict than the first type. It is a cool and unique system, but there is a downside. Each attack has a different range, and it can be a problem trying to remember which attacks have which range, and what point of the combo they are at. It will display the largest area and approximate damage when selecting one. It's a bit misleading since not all attacks in your combo hit that range. Plus, it doesn't account for enemy defensive moves. This is really only a problem in the dream battles, where the enemies have the best and most annoying defensive and passive skills, while you don't get very many of them. The visual novel portion is the bulk of the game. You follow the story of Haku and the multitude of other characters he meets, befriends, and is generally pushed around by. While I normally like visual novels, it does entirely depend on the story told. For better or worse, Mask of Deception reminds me of Ranma 1/2. Haku generally gets abused (physically and verbally) throughout the whole game, and that kind of thing really bothers me. I can let a bit of it go, but as it goes on and on and on...I get tired of it. Most of the characters come off as selfish ***holes. It's a shame, since the rest of the story is actually really good. The sections that move the plot forward, and aren't just character interaction pieces, are very interesting. Also, I'd really appreciate it if tapping the touch screen would advance the dialogue. I understand that because it's also a PS4 game, such a function may not be feasible, but it's silly that a standard of visual novels isn't in the Vita version. The only other related thing that bothers me is the authentic terminology. I get that they want to keep the terms that might be harder to translate, but it makes it all more confusing. Many of the terms and combo attacks could and should be translated to something close. At the very least, they need to use the spacebar when typing them out. Look at the title of the game, you get an idea of what I'm talking about. For the combo attacks especially, I can't tell which is which until I pick them. If one gets another link when a character levels up, I again don't know which attack it is. I'm sure there are some silly purists who insist on it, but it makes me more annoyed than the game has to. So I suppose more than being authentic, it's senseless pandering. Doing all of the story battles and scenes runs about 20 hours. A series of dream battles opens up after completion of the main story, which gives you another few hours. The trophies aren't bad, but a few would require hours of grinding. The game's battles start out easy, and get harder as the game progresses. The curve is decent, but there are some notably hard (and sometimes cheap) stages, like the final fight and most of the dream battles. If you are stuck, you can usually re-play earlier battles for more experience and BP. Experience scales with level difference, meaning you have to play later stages to actually get experience for actions. This would be less of an issue, but higher level enemies excel at dropping you with 1 or 2 attacks. That's a bit extreme in my opinion. At least at that point you are through the actual game story, so you can safely move on to the sequel. Utawarerumono: Mask of Deception was worth playing. The story flip-flopped from being obnoxious to really interesting, but the battles kept me coming back to play more. While I don't agree with some of the story choices, the gameplay and ending have me looking forward to starting up the sequel. Battles are fun, interesting combo system. The story has some really annoying parts (think Ranma 1/2). So, technically, the experiment worked, right? So 2018 has come to a close. It was a very unique year, especially for myself. Again, ignoring the continued devolution of the United States, we will look to toys, video games, TV and movies for the good, the bad, and the SaHD. Let us jump into the good first. I played some really fun games this year, whether or not they actually released this year. I finally bought Blaster Master Zero, and enjoyed it a lot. Getting to the final dungeon was kind of dumb and easy to miss, but I still think the game is good. Radiant Historia was re-released for the 3DS. I loved the original release, so getting a slightly updated version was welcome. It's still good, even if the added content feels superfluous. Still, more content is more content. Alliance Alive was another fun game I played and reviewed this year. In a surprise development, Dissidia: Final Fantasy Opera Omnia is a mobile game that I actually really enjoy, and still currently play. And yes, the name is total JRPG silliness. So what was my favorite game of the year? This year it was really easy to pick one: Octopath Traveler. The gameplay is extraordinarily good for old school gamers, and the graphics are top-notch sprite goodness. The character interactions are nice, but I would have loved to have a lot more of them. The story structure reminds me a lot of Saga Frontier, which in this case is pretty good (the second Saga Frontier was terrible though). It's not perfect, but was easily my favorite game purchased and played last year. A very high recommendation for anyone that enjoys old school RPGs. Now for the bad. I previously enjoyed Recore, but the Definitive Edition upgrade was not good at all. It was unpolished, and added things that the game just didn't need, except for maybe Violet, the tank. She was only needed because they put in those mud areas. Defenders of Ekron was not fun, and Iconoclasts looked great, but was very disappointing. Disgaea, my favorite game, received a re-release, and showed just how far the series has come. Unfortunately, it received none of those upgrades, and is just a heartbreaking, effortless, cash-grab release. Sadly, even Monster Hunter World was a massive let-down. I'm glad a lot of people like it, so the franchise can sell more, but it was not at all what I wanted from the series. A few small steps forward, and a few big leaps back. The SaHD category is whatever kind of catch-all I want it to be. This year I'll talk about a few toys. The new Transformers line, Siege, is a lot of fun. Nice new molds, lots of areas to plug in accessories/weapons, and special guys that you can pull apart to make into battle armor. They've even made action effects that can plug into the various weapons. The toys are great, but Hasbro's distribution is still awful. While it should be a good thing that the new toys can't stay on the shelves, it's more from stores getting older waves way too late to properly sell them to collectors and fans, and not having the room for new things. Well, and not getting more than one box of the new stuff. I am still convinced they need to emulate the video game market to bring back toys to the mainstream, or at least turn some good profits. Another toy that had a tumultuous first year was Mayhem Mekanics Unrustables. I backed the kickstarter back in 2017, and received my figure last year. It's really well designed and built. It transforms from a robot to a rider and motorcycle, and boosts a good amount of weapons to play with. Unfortunately, the makers had some problems with the factory producing their toys. Outsiders might not know all that is going on, but it's surely a financial blow to a small start up company that had a lot of promise. I was also extremely excited to finally be able to afford another 3rd party Devastator. Well, in design, if not in name. Fate and a cosmic event (having money and a 20% eBay flash sale), provided me with a decently-priced Constructor. It is big, and looks awesome. It does have faults, such as some scarily tight joints that shy me away from transforming it very often. I really don't want to break such an expensive toy! Even so, I am very glad I purchased it. So that was a brief look at the ups and downs from 2018. With a new job, I'm not sure how 2019 is going to shape up, but hopefully we will see you back here in another year to see what made 2019 good, bad...and SaHD.